First published in 1976. This book covers working-class history from the decline of Chartism to the formation of the Labour Party and its early development to 1914. It gives a historical perspective to the essentially defensive, materialist orientation of twentieth century working-class politics. David Kynaston has sought to synthesise the wealth of recent detailed research to produce a coherent overall view of the particular dynamic of these formative years. 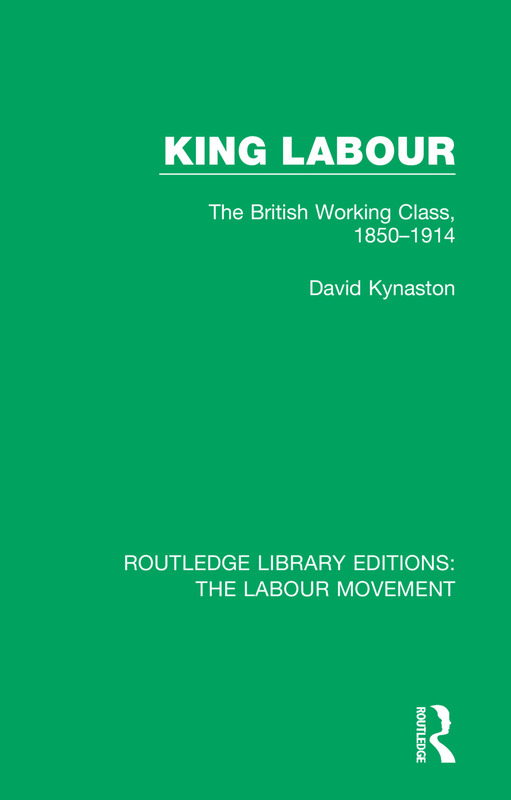 He sees the course of working-class history in the second half of the nineteenth century as a necessary tragedy and suggests that a major reason for this was the inability of William Morris as a revolutionary socialist to influence organised labour. The treatment is thematic as much as chronological and special attention is given not only to the parliamentary rise of Labour, but also to deeper-lying intellectual, occupational, residential, religious, and cultural influences. The text itself includes a substantial amount of contemporary material in order to reflect the distinctive ‘feel’ of the period. The book is particularly designed for students studying the political, social and economic background to modern Britain as well as those specialising in nineteenth-century English history.